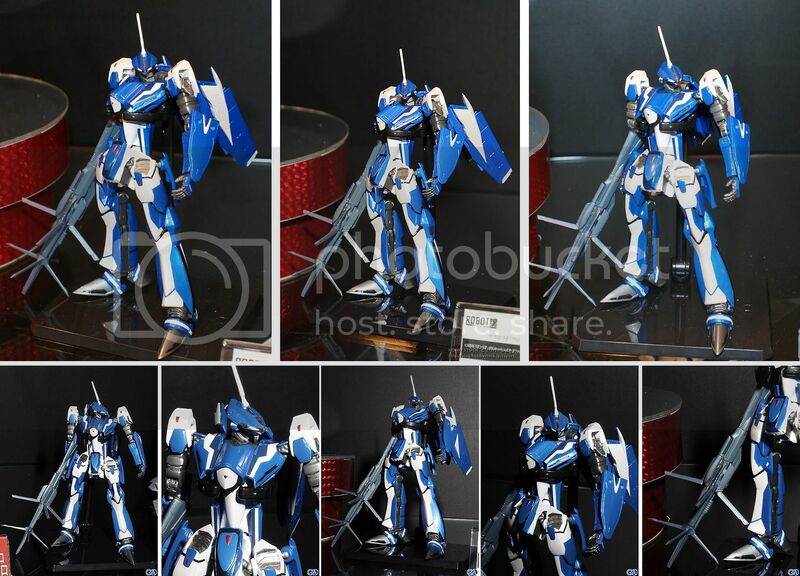 TAMASHII WEB SHOP – Same as Klans Q-Rea, but in Pixie Squadron colors. Inlcudes pilots Raramia Reremia and Nene Rora. Exclusive release sold through the Tamashii Web Shop from November 6, 2009 to December 11, 2009. FAMIMA.COM — Same as VF-25F, but with exclusive Family Mart colors sold through the Famima.com online shop from September 1, 2009 to November 16, 200 to celebrate the Macross Frontier theatrical release. C3 x HOBBY 2009 & TAMASHII WEB SHOP – Same as VF-25F Alto, but with special metallic finish and includes exclusive e-Soul Stage (Sheryl Nome Ver.). 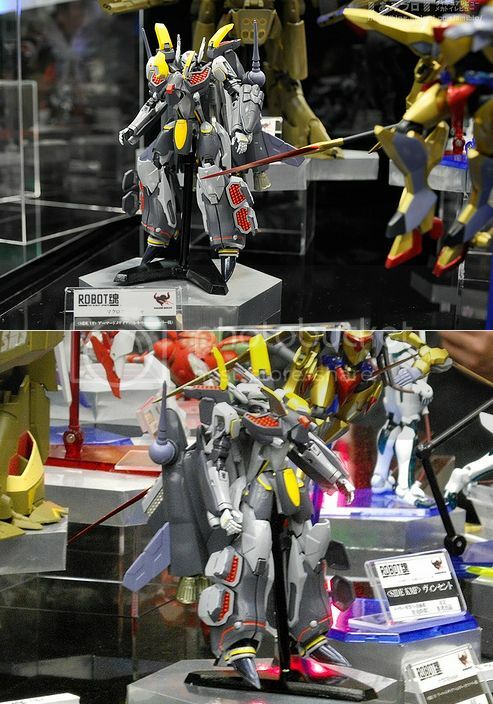 Limited edition release sold exclusively at the C3 X Hobby event held August 29-30 in Chiba, Japan. Subsequently awarded via lottery through the Tamashii Web Shop from February 24, 2010 to March 8, 2010. 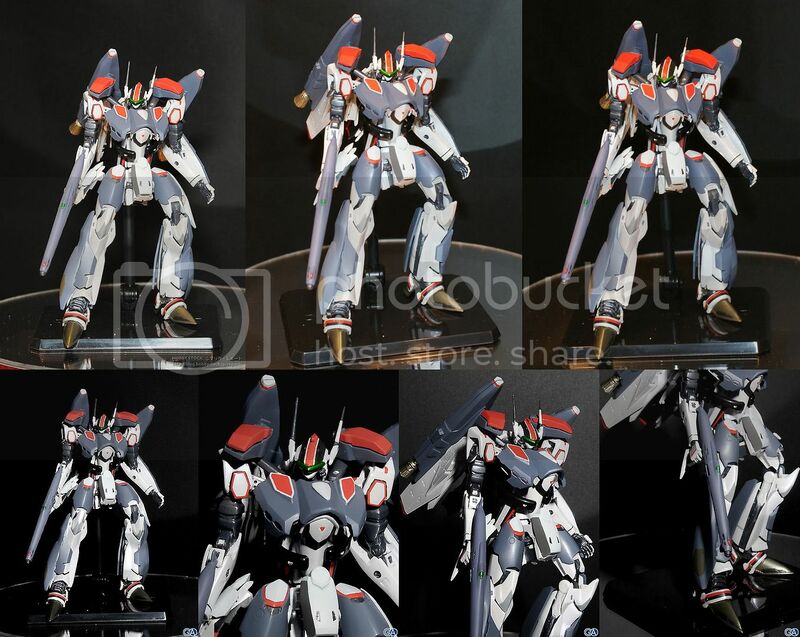 C3 x HOBBY 2009 & TAMASHII WEB SHOP – Same as VF-25S Ozma, but with special metallic finish and includes exclusive e-Soul Stage (Ranka Lee Ver.). Limited edition release sold exclusively at the C3 X Hobby event held August 29-30 in Chiba, Japan. Subsequently awarded via lottery through the Tamashii Web Shop from February 24, 2010 to March 8, 2010. 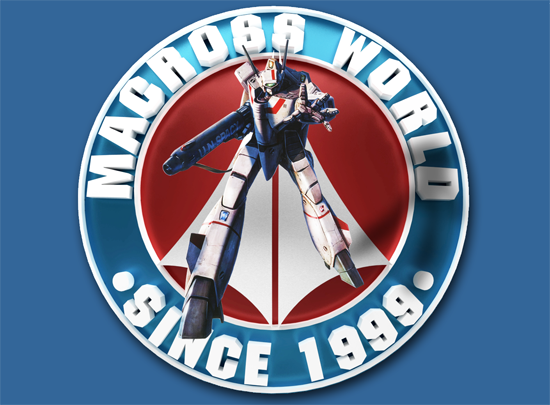 TAMASHII WEB SHOP – Exclusive release sold through the Tamashii Web Shop from April 30, 2010 to June 14, 2010. TAMASHII WEB SHOP – Includes Fire Bomber display stand, shoulder block, closed fist, joint part for gun pod and landing gear. Exclusive release sold through the Tamashii Web Shop from April 30 , 2010 to June 14, 2010. TAMASHII WEB SHOP – Exclusive release sold through the Tamashii Web Shop from May 28, 2010 t o July 20, 2010. 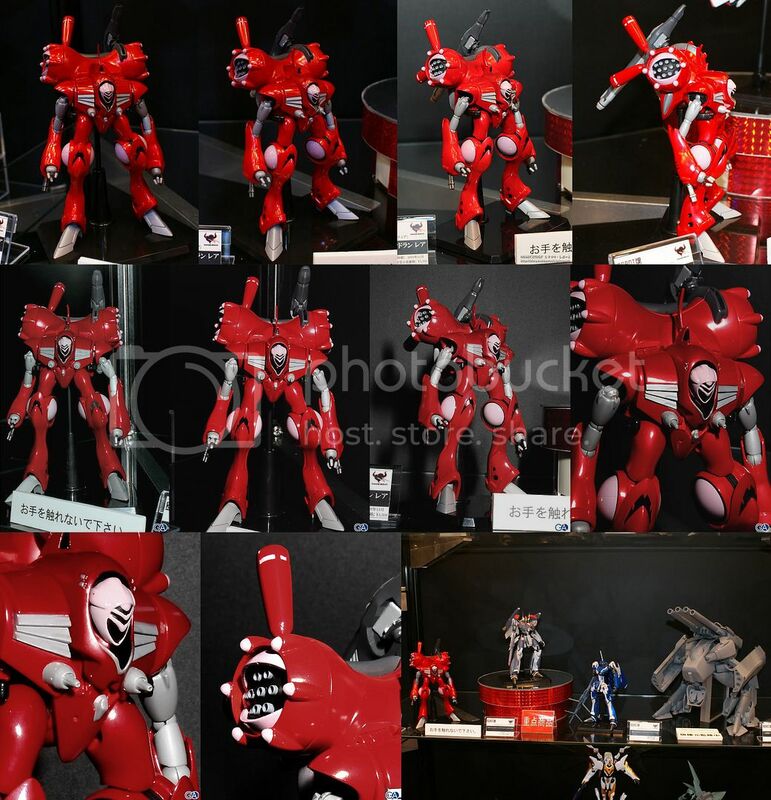 TAMASHII WEB SHOP – Exclusive release sold through the Tamashii Web Shop from November 9, 2010 to February 14, 2011. TAMASHII WEB SHOP – Includes markings sheet to customize to specific pilots Valkyrie. Exclusive release sold through the Tamashii Web Shop from January 14, 2011 to April 25, 2011. TAMASHII WEB SHOP – Exclusive release sold through the Tamashii Web Shop from October 29, 2015 to November 4, 2015. Includes 魂(Soul) Nation Commemorative 魂Stage (Roy Focker Special) for this ordering period only. Normal versions of the 魂Stage will be included with subsequent orders placed starting November 5, 2015. TAMASHII WEB SHOP – Exclusive release sold through the Tamashii Web Shop from November 5, 2015 to —- –, 201-. Does not include the 魂Stage with initial ordering period above.